Human rights, Refugees, Migration, Resilience. Cristina Cardarelli has a strong background in International Relations, with a focus on human rights. She holds a MSc in International Relations Theory from LSE and a MA in Human rights and Democracy in the MENA region from EIUC and she is developing her expertise in migration and refugees issues. In the past years, she has collaborated with different NGOs in South Asia and worked as trainee at the European Parliament, DG EPRS. She has also worked as Assistant Campaigns Coordinator in a NGO based in Paris, helping the coordination of international human rights campaigns in Europe. As human right researcher, she has operated in Palestine as part of her MA, in collaboration with Birzeit University, and in Jordan, where she focused on the impact of the Syrian refugee crisis on local municipalities. 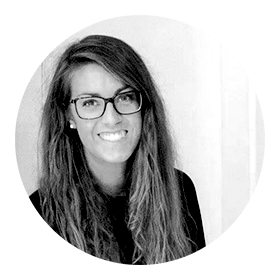 She is a pro-bono researcher and active supporter of the Refugee Right Data Project (RRDP), a new UK-based NGO whose aim is to fill information gaps relating to refugees and displaced people in Europe by conducting independent field research. As RRDP researcher, she has worked in Calais and Greece and contributed to the advocacy strategy mostly in Italy. She has recently concluded the UN fellowship Programme, where she worked as Project Officer for the Italian Agency for Development Cooperation (AICS) in Burkina Faso.